Human resources has never been more important to the success of an organization. Talent acquisition, talent management, and team development have taken center stage in most organizations strategic planning. For HR teams to be successful they need to have tools that allow them to compete, innovate, and automate business processes. 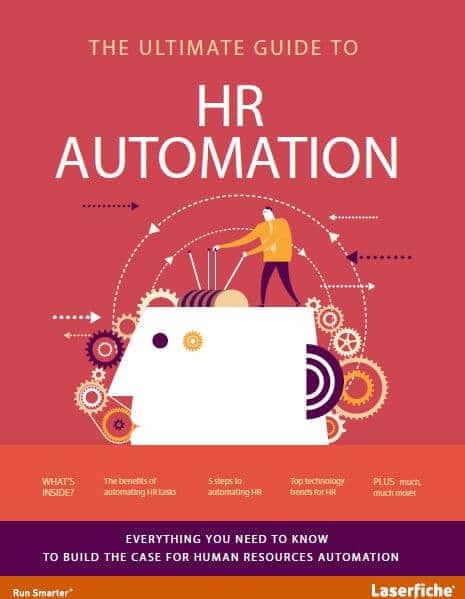 Request your copy of The Ultimate Guide to HR Automation. Digitally transform your HR department with DRS’s ECM solutions for Human Resources. All records related to Human Resources are stored securely and are available when and where needed on request. Paper Forms are eliminated and tremendous efficiencies, transparency, and automation are gained. With an HR records management system, lost documents and mis-files are eliminated and workflows related to every process can me monitored and managed proactively and in real-time. Information Governance: Secure, protected, compliant HR records management system for complete software integration. Time Savings providing filing and accessing employee information. Authorized access to employee information can occur anytime and anywhere keeping productivity and morale at peak levels. 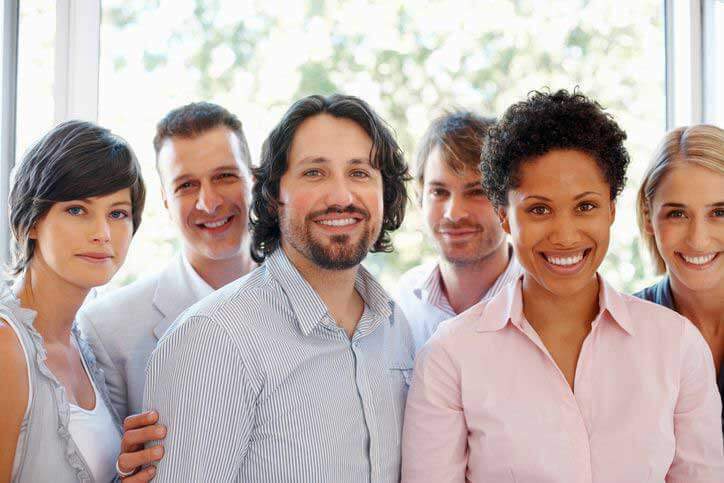 Employee self-service and user friendliness are built into every HR records management solution. In all DRS HR solutions, we automate application processing, onboarding of new personnel, and distribution payroll information. Electronic automated web and mobile forms eliminate tremendous amounts of paper, costs, and errors. Employee reviews, communications, vacation requests, are streamlined, automated and 100% auditable.